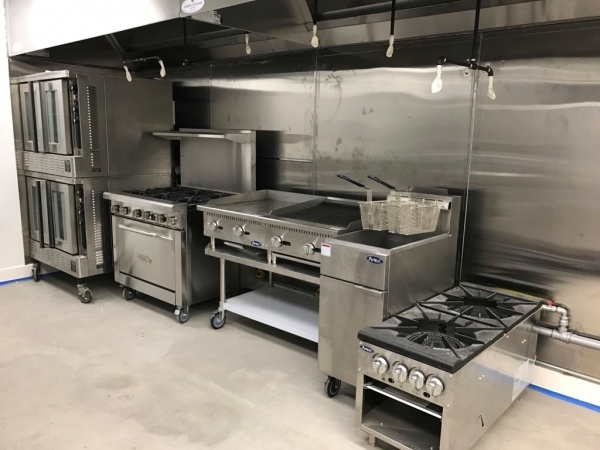 Commercial kitchen space available in Hawthorne, CA. 815 sq. 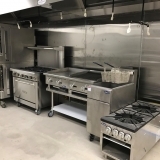 ft. kitchen space available equipped with double convection oven, 6 burner gas range, 24" char-broiler, 24" griddle, double stock pot burner, and walk in. Available for Farmers Market Vendors, Test Kitchen, Photo Shoots, Bakers, and Ad Hoc Catering. Contact Mario for availability and rates.